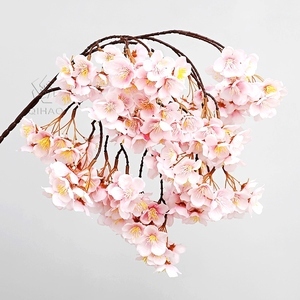 GNW BLS1607008-WT white dry tree branches with cherry blossom for decoration winter tree Features: Products Name dry tree branches Item No. BLS1607008 Material silk flowers , wood trunk Features *high simulation to real branches *good material made, environmentally friendly *no need caring and watering, easy to maintain and clean *Customized any size and color for your demand *long life-&gt;5 year(indoor),no worry about color fade Uses hotel, airport,restaurant, waiting room,wedding decorating , party decorating , garden decoration,stage design,window shows Payment&Shipping: production time about 7-10days (also depends on quantity) shipping time 20-30days by ocean, 5-7 days by air payment terms bank T/T, 30% deposit in advance, balance before shipment all price is on EXW Close-up of the product: Other types of products : Packaging: We Used carton or wooden material to package the product , protect the goods from damage during transportation We pursue profession, high quality and efficiency, and will be honored to serve for you. Welcome to contact us! 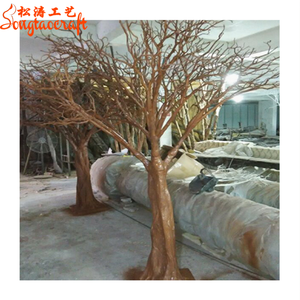 We are manufacturer,established in 1998, specialized in artificial trees,can produce by the design of clients. Q: How long about the leading time9 A: Leading time is depends on the quantity and size you order. Q: How about the warrenty9 A: All our products are with 5 years warrenty. 2,We have professional designer team to make your design. 4,More than 5 production lines to make sure prompt leadtime. 4,After-sale service a, All our products will have been strictly quality checked in house before packing. 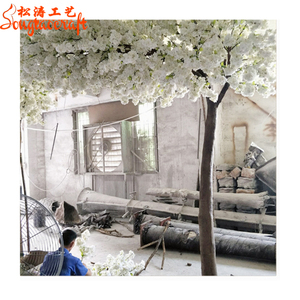 Guangzhou Milmo Arts & Crafts Co., Ltd.
Guangzhou Shengting Garden Landscape Design Co., Ltd.
Guangzhou Weiai Trading Co., Ltd.
Dongguan Yum Arts & Crafts Co., Ltd.
Alibaba.com offers 4,042 white branch tree products. About 25% of these are holiday lighting, 24% are artificial plant, and 9% are christmas decoration supplies. A wide variety of white branch tree options are available to you, such as free samples, paid samples. 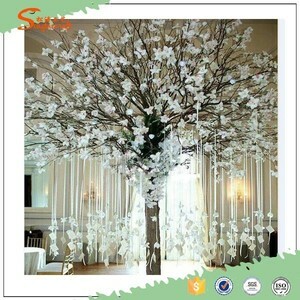 There are 4,069 white branch tree suppliers, mainly located in Asia. The top supplying countries are China (Mainland), India, and Hong Kong, which supply 99%, 1%, and 1% of white branch tree respectively. White branch tree products are most popular in North America, Western Europe, and South America. You can ensure product safety by selecting from certified suppliers, including 314 with Other, 263 with ISO9001, and 63 with BSCI certification.